What's wrong with my basil plant? Any ideas what's wrong with this plant? It's watered regularly, gets sunlight, in warm climate. Just will not grow. Stems are woody or black. What have I done wrong? It seems that this basil plant have flowered in past. You might have observed tiny white flowers on this before. The best way to take care of a basil plant is to keep pruning it form the top. This way you will also get regular supply of fresh leaves. Though I do not have much information about it, but it seems that this plant needs to be re-potted. Make sure to add compost/manure to the soil while re-potting. Once the stem becomes woody, there is not much we can do about it. However, basil can be propagated from cutting. You can cut small top portion with green stem and keep it in a glass with water upto height of around 1.5 inch. This should develop new roots and then that small plant can be planted in fresh soil. You probably haven't done anything wrong, but if you've had the plant for a while and/or it flowered, these are only annual plants, meaning they die off as the growing season comes to an end, or after flowering. You can sometimes take cuttings and start new plants, but otherwise, it just means you need to buy a new plant. The black stems have just gone woody, which usually means the plant is a few months old - mine bought back in May is in the same state as yours. If you haven't had it too long, you can try cutting it right down to where there are 2 or 3 new leaves towards the base and it might put out some new growth, but if its a few months old, it might not respond. Not the answer you're looking for? Browse other questions tagged basil or ask your own question. How long will my basil plants live inside? Letting basil loose. Will it die? What's causing these small black spots on my basil plant? What type of basil is this? Why is my basil plant oozing brown sap? Is something wrong with my plants? 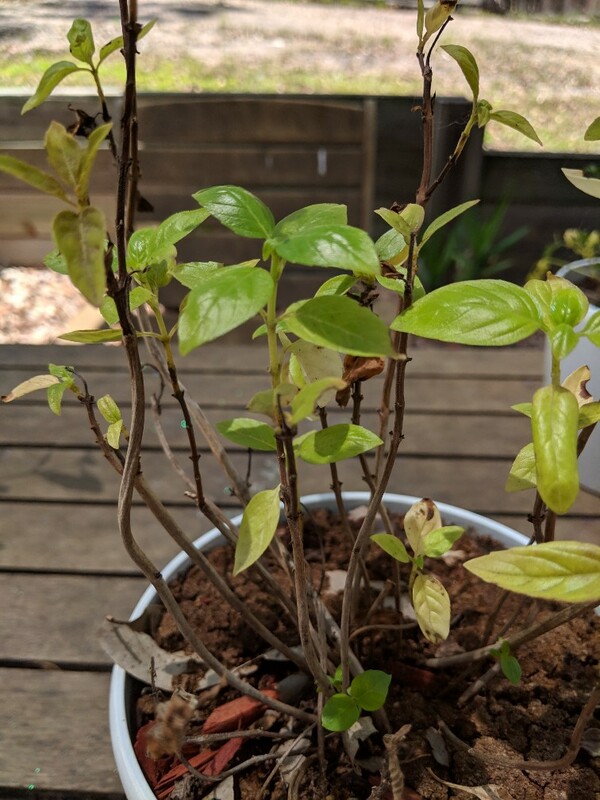 How to care for sweet basil plant in a humid climate, such as Hawaii?